WaterMarx was launched in 2011 by professionals with experience in the fields of photography, journalism and newspaper, book & magazine production. The latest book produced by WaterMarx Media and published by White Horse (Wiltshire) Trades Union Council includes recollections by Jeremy Corbyn MP about his early life and upbringing in Wiltshire. While Wiltshire gives an impression of sleepy rural calm, it has been the scene of impassioned events that have helped shape our nation’s history. This volume chronicles the rural rebellions of the past, and the often savage response by the rich and powerful who used the gibbet and the noose to suppress the poor. later becoming the first woman president of the TUC. Angela Gradwell was one of the country’s first women solicitors, a dedicated socialist and peace campaigner, sports woman and musician. 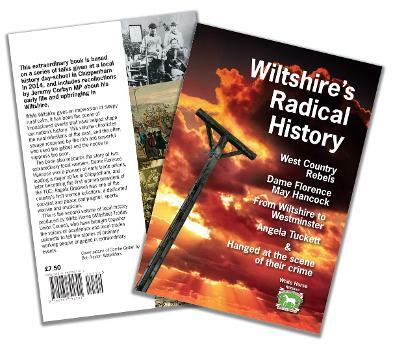 This is the second volume of local history produced by White Horse (Wiltshire) Trades Council, who have brought together the voices of academics and local trades unionists to tell the stories of ordinary working people engaged in extraordinary events.